Image caption The four boys were found uninjured in the Kingsthorpe area of the town. Hundreds of checks on sewers have been completed to combat the “extremely dangerous” trend of urban exploring, after four teenagers became trapped underground, a water company has said. The boys, all aged 16, were pulled from a manhole in Northampton after getting lost in July. The rescue operation took three hours and involved 16 firefighters, as well as police and ambulance crews. Anglian Water said some pipes had been fitted with screens to prevent access. “Whilst the urban explorer trend is popular, it can be extremely dangerous… the situation could have ended differently,” a spokesman said. He said the company was now looking at how to secure smaller pipes. 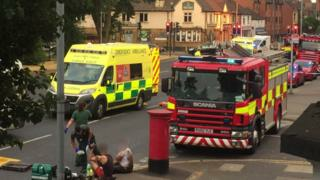 The alarm was raised at about 18:30 BST, and crews used a map of the sewer system to find the boys, who were uninjured. Group commander Kevin Hardwick, from Northamptonshire Fire and Rescue Service, said at the time of the rescue that they were “very, very lucky”. 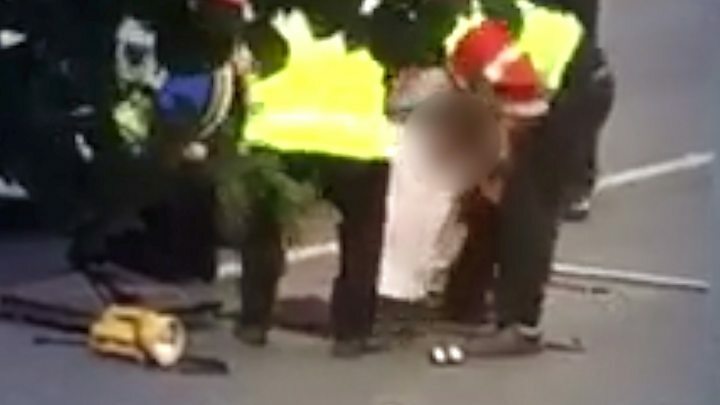 A fire service incident report obtained by the BBC under the Freedom of Information Act showed crews used flexible cameras, axes, hammers and crowbars in the search. It said four boys were rescued, not four as initially reported. Sewers “contain waste water and operational equipment which makes them dark and dangerous – not a place to explore”, the Anglian Water spokesman added. Northamptonshire Police confirmed no further action would be taken.